Meredith Kendall Beltran, 25, of San Antonio, died Wednesday, Jan. 23, 2019, in Midland. Ms. Beltran was born Sept. 23, 1993, in San Antonio to Stacey Rendon-Del Bosque and Moises Beltran III. 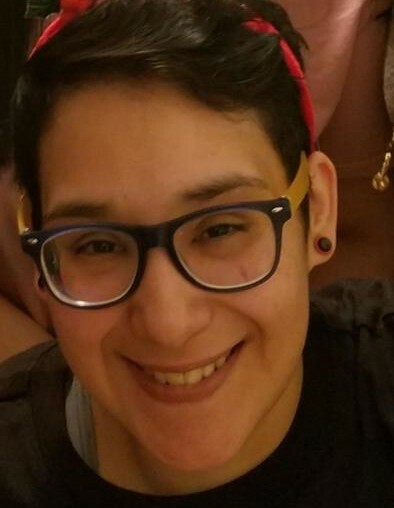 She was a Christian, a freshman at Midland College and involved with the Midland College Student Government Association, Midland College Engineering Club and Midland College LGBTQ Club. She was preceded in death by her grandfather, Moises Beltran II and great-grandparents, Domingo and Rosa B. Medina, Ismael and Herminia Rendon, Moises and Amelia Beltran, and Natalia and Pablo Lopez Sr. Survivors include her mother, Stacey Rendon-Del Bosque; step-father, Rogelio “Roger” Del Bosque Jr. of San Antonio; father, Moises step-mother Gloria Beltran III of Beeville; sister, Madeline Hannah-Rose Beltran of San Antonio; grandparents, Charley and Adelaide “Ida” Rendon of Beeville, Severa Arrisola of Rockport and Delia Beltran of Sweetwater; aunts and uncles, Tammy and G.R. Treviño of Midland, Nancy and Alfred Cuellar, Christopher and Rebecca Rendon, Delma Ray Reeves, Roxann Arrisola, Ulysses Beltran and Elliot Beltran; and numerous cousins and friends. Visitation will be held from 1 to 7 p.m. today (Friday) at Trevino Funeral Home. The funeral service will be conducted at New Hope Christian Church, Saturday, Jan. 26, at 11 a.m.
Pallbearers will be Tom Cruz Arciniega Zuniga III, Bobby Martinez, Garron Ryan Trevino, Adrian Gonzales, Ulysses Beltran and Elliot Beltran. Honorary pallbearers will be Christian Orion Rendon, Abram Jay Cuellar, Marcus Reeves, Kobi Reeves and all of her other cousins.